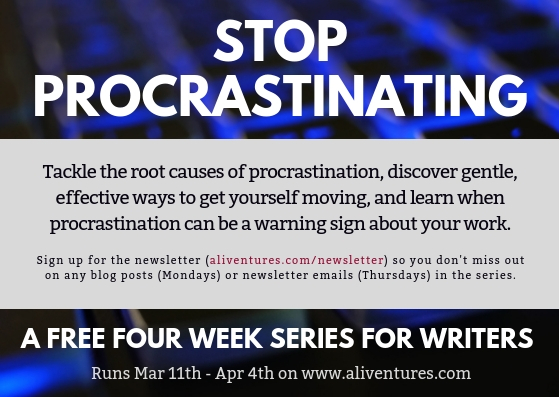 This post was originally published on Aliventures in April 2017, but I’m re-running it as the first post in a new series on Aliventures about overcoming procrastination … one of the most popular topics/problems, by far, in this year’s Aliventures survey. “Fear” might seem like a slightly odd place to start … but I think that at the root of a lot of procrastination lies some type of fear. I never like to admit that I’m afraid. But as a writer, fear comes with the territory. I don’t think I’ve ever met a writer who wasn’t, at least sometimes, afraid … and for many writers, that fear can block progress. Some writers are quite matter-of-fact about rejection … but usually only once they’ve had their share of it! Many writers, especially newer writers, worry a lot about rejection. Although there are plenty of writing paths that don’t carry a risk of rejection (like blogging and self-publishing), these do tend to come with a greater risk of negative feedback … see #2! It’s absolutely normal to fear rejection. It’s normal to worry about how you’ll react to it, especially if you’re submitting something important to you, or something that’s taken a lot of time to write. Tell yourself you can and will cope with it. Rejection is part of being a writer, and while it may hurt at first, it’ll get easier over time. Reframe rejection as a success: at least you had the courage to send your work out (many writers never even get that far)! Remember that rejection is just one person saying “this isn’t right for me at this time”. It doesn’t mean that you’re a bad writer. Take on board any feedback provided – if you have a guest post rejected and the blogger says it wasn’t a great fit for their blog, that may mean you need to read the guidelines more carefully next time. Have a Plan B in mind before submitting work. Maybe you’ve got a whole list of agents to approach (rather than just one), for instance. I’m getting fairly blasé about rejection these days – but the idea of getting one-star reviews on my novels is still pretty terrifying! If you share a piece with your workshop group, they might criticise it. If you publish a blog post, someone might leave a nasty comment. If you self-publish a novel, it might get poor reviews on Amazon. If you’re traditionally published, you might receive a scathing review in a newspaper or literary magazine. Plus, negative feedback can stick with you in an online world: those one-star reviews are visible to everyone checking out your book, for instance. So this fear is a completely understandable one … but you can still overcome it. Make a practical plan to deal with it. With many sorts of writing, at the very least, you don’t need to allow feedback to remain public! If you get a nasty comment on your blog, for instance, you can delete it. Yes, it may still hurt – but at least it’s not out there for everyone to read. Deliberately elicit positive feedback. This could mean asking beta readers to help you by telling you what they liked best or what they felt was strongest in your work; sending out your new book to people who you’re pretty sure will like it; or asking friends to comment on your blog posts. Now, I can glance at them, accept the person’s right to his opinion, perhaps even grin in amusement, and forget about it almost instantly. At this point in my writing journey, I am no longer dependent upon the good opinion of others for my validation as an author or a person. What if I don’t EVER see the writing success I want? 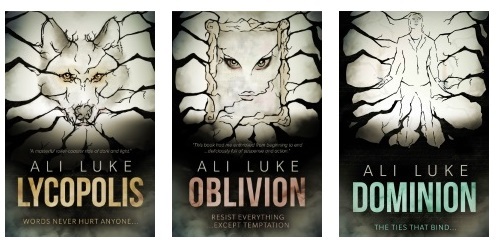 What if I write a whole series of novels and no-one buys them? What if no-one reads my blog? What if I quit my day job to freelance but then have to go back? What if I try to write a novel but run out of steam part way? What if I’m simply not a very good writer? I’ve definitely struggled with this fear over the years (and still do, to a large extent). There are no guarantees in writing, and of course things may not work out quite how you’ve hoped and planned. But if you let the fear of failure hold you back, you won’t even have a chance of achieving the success you want. Figure out the real worst case scenario – once you pin it down, it often doesn’t look too terrible. Even if your novel flops, you’ve had the invaluable experience of actually writing it … and that will help with the next one. Define what you mean about “success”. It’s natural to want some sort of validation – and Joanna Penn (who, frankly, looks extraordinarily successful from where I stand!) wrote about this quite movingly in her post Am I Good Enough? The Validation Of Awards For Writers. But “success” can also simply be the enjoyment that you get from writing, or reaching the one person who really needed to read a particular blog post that you wrote. Do SOMETHING towards your goal. Let’s say you want to “make a living writing”. It’s a big goal, but it’s an achievable one – even if it takes some time. The only way to guarantee you’ll never get there is to do nothing! Try out different types of writing. As a teenager, I imagined myself writing novels full-time. I do make a living writing now … but most of my income is from freelancing (which I’d never really thought of) and blogging (which barely existed in my teens). I really enjoy non-fiction writing, and I’m so glad I didn’t stick too closely to my original vision! It isn’t easy to beat writing fears – and while I’ve tried to give some practical suggestions in this post, I do understand how deep-rooted those fears can be. 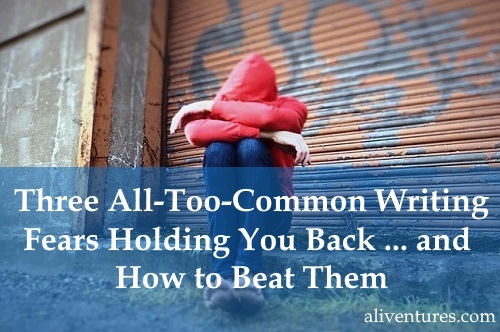 I still struggle with them, and I know many writers go through times when they feel a real lack of confidence. If you take away just one thing from this post, make it this: it is NORMAL to have these fears. Worrying about feedback or reviews, or feeling like a failure, does not reflect in any way on your writing ability. Hang on in there. Your fears might never completely go away … but you can write despite them. Over the next four weeks, I’ve got several posts (and newsletter pieces) planned about why writers procrastinate, how to focus (and refocus), how to know when procrastination might be due to a problem with your writing, and more. Something writers must remember is that criticism goes with the job and the vast majority of criticism has no constructiveness to it, like this review. You have to take it where it’s coming from. I think the best positive encouragement comes not just from sales figures – it comes from peer approval in the form of opportunity invites like guest posts and referrals. The big thing is not to let little things get you down and to keep on writing. You never know when the next opportunity through approval will show up. Ouch! That’s so frustrating when you’ve invested so many resources on editing. You’re right not to let it get you down (and “a real page turner” is high praise indeed, in my book)! Yes, when you are self-published the negative feedback can be odd and sometimes just plain puzzling. Did they even read the book? There have been rumors on the KDP (Kindle Direct Publishing) forum of ‘torpedo’ reviews posted by competitors. Amazon claims that they take action – who knows? I just know that my husband has received a few that make you wonder. For me, the unpublished writer, though, number three – fear of failure – is the fear that accompanies me daily. It’s often wrapped into perfectionism and we all know where that takes a person. Paralysis. So your tips on focusing on the process and consistency are helpful and timely. I’ve heard the occasional story over the years of rogue authors leaving 1-star reviews on competitors’ work … I think Amazon does crack down on this sort of thing when it’s detected, but I’m sure some must slip through! I am writing up my PhD thesis (a technical one) with a published journal paper and couple of conference papers. Now, with almost half way through the writing I had a writing block for the past three weeks. I think it is the Fear of Failure that hold me from keep going and wondering if there are any suggestions that is specific to academic writing? I started the PhD project after 20+ years working in the industry, and have a plan to start writing books afterword. Congrats on getting this far with your PhD, Adnan! My husband (Paul) is half-way through his PhD right now so I know how demanding academic research and writing can be. 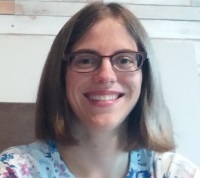 I don’t have any suggestions specific to academic writing, but you might check out Jo VanEvery’s site (particularly her “library” section of blog posts / short articles) — https://jovanevery.ca. It’s aimed at academics who are teaching but I think a huge amount there applies to PhD students too. You could start with her piece about establishing a 15 minute writing practice here — https://jovanevery.ca/15-min-writing-challenge. Hey Ali, great post! I just wanted to say “thank you!”; I couldn’t leave your site without making sure I left a thank you comment. This post reveals a lot about the fears we face as writers. And I understand what risks you have taken in sharing yours like this. Thanks again, Ali! Fantastic article! I suffer from almost every one of them! Most of these fears are under your own control. This is the best part of all this. I am a secretive perfectionist and never think my letter is good enough. Which usually means that I simply do not begin to write, because I am sure that what I write will never be as good as I imagine. We have to accept these fears, although, in any case, most of them are just in our minds! We must try to follow the old adage: feel the fear and still do it.